We have appropriately outfitted and trained roof cleaners who will use powerful pressure washing equipment to eliminate mould, algae, lichen, streaky stains and moss from rooftops. House roof cleaning is important if you want your premises to look great, and is also important simply because certain dangerous growths can actually “eat” and harm your roof if left un-mended for an extended period. Our service is 100% insured and at a great price! Homeowners and business property owners in the region know that proper and regular gutter cleaning can save them the need for repairs and a lot of problems if water damage occurs due to clogged gutters. Ashlee House Cleaning will help get your gutters clean safely and efficiently, at an great price. Our gutter cleaners use professional powerful vacuum cleaner connected to telescopic pipes to reach your gutters and downpipes and clean them without the use of ladders. These pipes have cameras at the end, so that all dirt and debris is visible. We can give you before and after photos of your gutters. This service comes with a quality guarantee of 1 month. In case your gutters get clogged during that time we will clean them again. 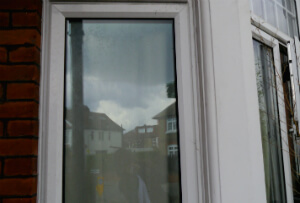 We have an easy booking system for our window cleaning Hampton TW11 services. You could pre-book any day of the year for your gutter, window & roof cleaning. We can arrive on the same day in case you want an express service. We have fixed as well as fair fees. All customers who reserve more than 1 of our services at the same time will be presented a price reduction for every extra service. No downpayment is necessary to book our cleaning services. We have advantageous rates for frequent customers, property companies, property managers and for those of you who book early ahead of time. For a professional window cleaning service, do not think twice to get in touch with our 24/7 customer support now at 020 3746 1366 or via our web based booking form. You will get written confirmation in the following 2 hours.